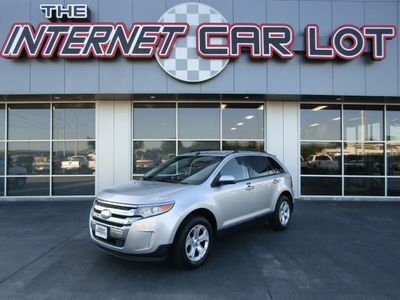 Check out this loaded & low mileage 2011 Ford Edge SEL! This SUV looks and drives excellent! It's loaded with options including Microsoft Sync, Touchscreen, Leather, Heated Seats, Rear View Camera, Rear Parking Sensors, Bluetooth, Sirius Satellite Radio, Steering Wheel Controls, Dual Climate Controls, Dual Power Seats, Heated Mirrors, Power Windows, Power Locks, Mirrors, CD, Tilt, Cruise and much more! Overall this SUV is very clean inside and out! It's priced to sell ASAP so call 402.991.1112 now! We are helping a private party sell this vehicle on consignment and do not store the vehicle at our location. If you would like to see the vehicle in person, please contact us at 402.991.1112.?